Crab Grass, Lakeland | The Other Side Pest Control Inc. Crab Grass, Lakeland | The Other Side Pest Control Inc.
With our services, you can keep crab grass out of your Lakeland, FL lawn through preventative measures. It doesn’t seem right that something that has the word “grass” in its name can be such a pain, but that is exactly the case with crab grass. This annoying grass loves sandy soils and the climatic conditions we have here in Lakeland, FL, so it can take over your yard in short order. You might enjoy how well it grows if you wanted to raise it for forage, but few homeowners are interested in it that way. If you are getting frustrated trying to get crab grass out of your lawn, give us a call at The Other Side Lawn & Ornamental Pest Control Inc. The annoying thing about crab grass is that it can hide in a yard looking just as green and lovely as the rest of your grass. You might not really even know it is there for a long time. When it becomes apparent is when our temperatures start to go down toward winter, as crab grass dies out when the temperatures dip to about 40 degrees. Now suddenly you have brown spots throughout your yard and have no idea what happened. 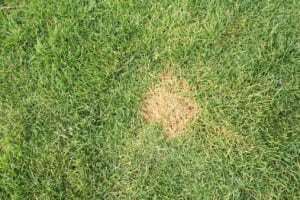 The problem is that because you didn’t spot and take care of the small patches of crab grass when they first appeared, they have now spread over much larger areas. The key to keeping crab grass from taking over your yard is to keep your lawn fertilized and lush, so there is no room for the crab grass to take root. Do not overwater your lawn, either. With our services, you can keep crab grass out of your lawn through preventative measures and we can also get rid of what is already there. Give us a call today to set up a consultation and get an estimate for any of our lawn spraying services. At The Other Side Lawn & Ornamental Pest Control Inc., we offer crab grass control services in Lakeland, Auburndale, Bartow, Plant City, Winter Haven, Davenport, Lake Wales, Brandon, Polk City, Highland City, Crystal Lake, Eaton Park, and Winston, Florida.